Description: McFamily Nights are free to the community on the 3rd Thursday of each month from 5:30 to 7pm. On these nights McDonald’s host free crafts and activities for kids. 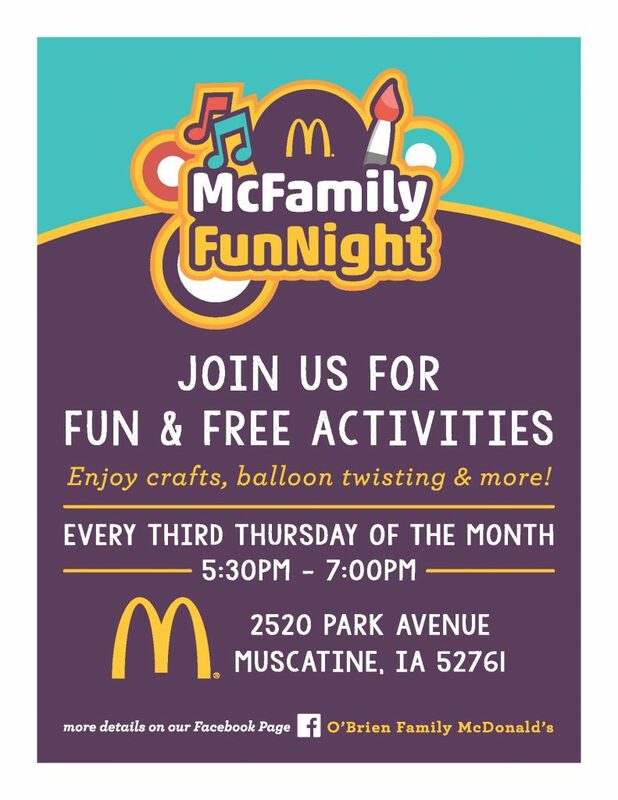 The next McFamily night is on October 18th, where there will be a pumpkin and cartoon ghost craft in the McDonald’s Play Place.